While America is littered with museums built around the varied collections of their millionaire founders, this sort of thing is much rarer in Europe. The Armenian Calouste Gulbenkian, who made his fortune from oil, put his money to good use and amassed an amazing little collection of objects from across the ages which we can admire today on their own merits and also enjoy because they reflect Gulbenkian’s eclectic interests. There are a few reasons for the quality of the collection, and they’re all to do with Gulbenkian. First – he had great taste. Second – he bought a lot from the Russians who sold some of their priceless collections on the sly during the 1930s. Third – he went for quality not quantity. The collection is not huge, but it has been carefully cherry-picked and as you walk around the galleries of the so-called Founder’s Collection, you really can appreciate why he had the motto: “Only the best is good enough for me”. I wish I could have that as my motto. But no. My mother married into the wrong Armenian-Turkic stock, so I can’t indulge my passion for antiquities and the fine arts. Well, I can, but not in my own home, anyway. I mean my rented flat. But enough about my festering sense of injustice. The history of the collection has to start with a brief overview of the life of the collector, not least because his was a fascinating life. Gulbenkian was born into a well-to-do Armenian family who, like most Armenian families in the Ottoman Empire, made a success of themselves in various businesses which required brains, a good work ethic and trustworthiness. The Gulbenkians had, during the 1800s, made a success of trading in pioneering objects, such as medicine and agricultural machines. Little Calouste was born in Scutari – modern Üsküdar on Istanbul’s ‘Asian’ side – in 1869. His father, Sarkis, has a large oil field in Transcaucasia (an area that comprises modern Armenia, Georgia and Azerbaijan) and was a representative of a company that dealt with oil for heating and lighting. After getting a first class degree in Engineering and Applied Science from King’s College London, Calouste was sent by his father to Baku to research the oil industry there. Baku, in modern Azerbaijan, had been at the forefront of oil exploration – in 1848 the first modern oil-well was north-east of Baku, by a Russian engineer. By the end of the 19th century, and despite American competition, the area produced the largest amount of oil in the world. It therefore made sense for Calouste to visit the area to gain knowledge – and to share. He published an article and a book about the industry based on his observations. This caught the eye of the Ottoman Minister of Mines, who asked him to write a report on the oilfields of their Empire, specifically in Mesopotamia (Iraq). In 1908, Gulbenkian was given the right to prospect for oil anywhere in Mesopotamia and subsequently made his name – and his fortune – in the region. The story of his involvement in the industry is complex and fascinating, and too difficult to go into in this post. What is relevant is that he had a reputation for being discreet and diplomatic – two skills which also helped in his collecting – and his stake in the Middle Eastern oil world is still contributing to the work of the foundation that bears his name. Having acquired British citizenship in 1902, Gulbenkian lived in London until 1920, and continued to have an office in the city. He made his home in Paris from 1920 to 1940, when he bought a house on the Avenue d’Iéna, which he regarded as his home, even after he fled the Nazis and settled down in Lisbon. It is interesting that despite the fact that Gulbenkian remained in Lisbon for 13 years, he never bought a house there, content instead to remain at the Hotel d’Avis from 1943 until his death. 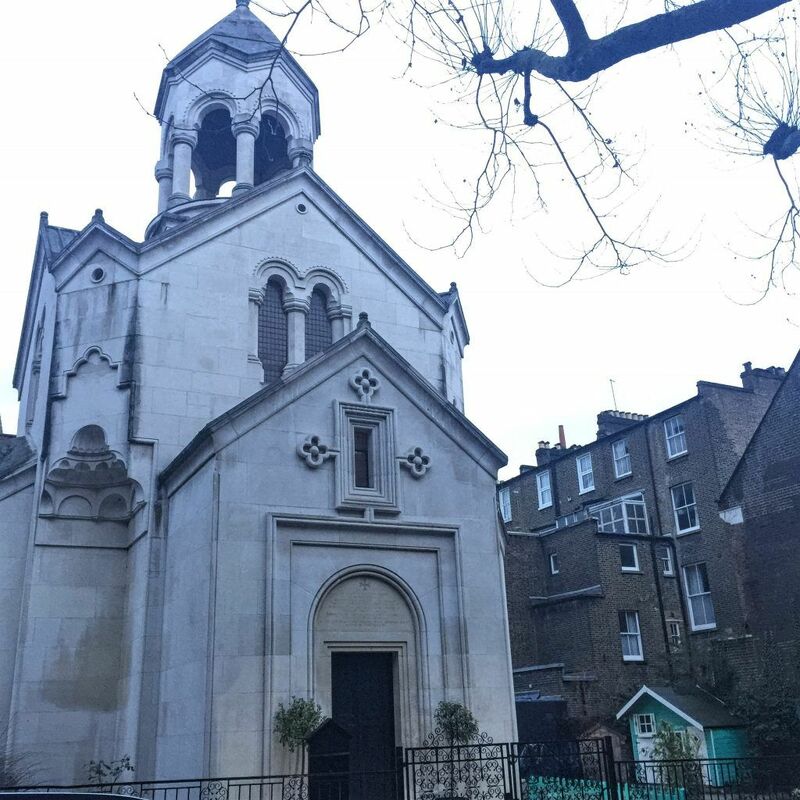 His ashes are buried in the St Sarkis Church Kensington, London, a church he built in memory of his parents. Collecting was a childhood passion of Gulbenkian’s: he would take the money his father gave him for doing well in his studies and spend it on classical coins in Constantinople’s Grand Bazaar. His father wasn’t impressed by this, but little Calouste clearly ignored him, for he went on to collect an extraordinary collection of coins. What made Gulbenkian an unusual collector was his faith in his own instincts – he bought from auctions, private sellers, antique shops, always maintaining his own standards, and not being overly concerned about the opinion of others, but consulting those he respected, such as Sir Kenneth Clark, who was in charge of the National Gallery in London and became a trusted adviser. He would also sell and swap items from his collection, donating to major museums around the world or giving them grants to buy artworks. That one extract demonstrates Gulbenkian’s total common sense: his respect for the idea of national cultural treasures, his boldness, and his practical attitude towards business. The fact that the Soviet Antikvariat, who were set the task of selling objects for as much as possible, were clueless about art is demonstrated by the fact that Gulbenkian paid good prices for his purchases. He’d already bought a number of items before the Antikvariat decided to stop selling to him because they realised they should be getting more money. They then sold 21 paintings to Andrew Mellon in America. Gulbenkian regarded his collection as his ‘children’ and only close friends would be invited to view it; his greatest worry was what should happen to his ‘children’ after his death. Originally he’d intended to build something in London, but he never forgave England for calling him an ‘enemy’ during the war, due at least in part to the fact that he remained in occupied Paris, so that was that. He was approached to donate his collection to Washington, but that, fortunately, also didn’t work out. When Gulbenkian died, he hadn’t specified in his will where his children were going. As it turned out, this citizen of Europe’s last home became his main beneficiary. In 1956, the Gulbenkian Foundation was set up in his name, and became involved in many cultural and charitable activities that helped the Portuguese population. And it still does. The museum and the foundation’s headquarters were opened in 1969 – it is a very modern complex, kind of like a tidy Barbican area (London), but there are pretty gardens, and a pond. With ducks. Lots of ducks. Alabaster Cup, c2700-2600BC, Egypt, Calouste Gulbenkian Museum, Lisbon, Portugal. It was probably used to measure solids. I wasn’t expecting to see Ironside’s buddy, Mark Sanger in the museum – but it was good to catch up. Cosmetic spoon, 1549/1550 BC-1292 BC, Egypt, ivory, Calouste Gulbenkian Museum, Lisbon, Portugal. The old man on the left is brandishing a stick, while a young man on the right sneaks up the tree to steal some dates. If those pesky monkeys at the top have left any, that is. This statuette has such a lovely slinky figure, she looked like she was sashaying across the room. The dress she’s wearing is so clingy that shape of her thigh is distinct, and from the front you can see how elegantly her figure has been made. Again, here is a sensuous, slinky figure – this time belonging to a Pharaoh. Cat with kittens, 664–525 BC, Egypt, bronze, Calouste Gulbenkian Museum, Lisbon, Portugal. This was a lid for a mummified cat. I was a little disappointed by how small this section was, but again, the quality of what was on display was impressive. In 1902, twenty golden medallions from the Roman period were discovered in Egypt. Eleven of these Aboukir Medallions came into Gulbenkian’s collection, showing Alexander the Great in various poses. The only non-Alexander one shows the Roman Emperor Caracalla, who, due to his youth and military exploits, was keen to draw attention to the similarities between them. The history of the beautiful white jade tankard (mashraba) is fascinating. It once belonged to Ulugh Beg, the Timurid ruler, as part of a 12 piece set made between 1417 and 1449. There are three inscriptions on the body of the tankard: on the neck is the piece mentioning it was commissioned by Ulugh Beg; on the rim is the name of Jahangir, the Mughal Emperor; the third name is that of Jahagir’s son, Shah Jahan, under the handle. The two Mughals claimed Timurid heritage, hence the significance of their names alongside Ulugh Beg’s. Tankard, inscribed with the name Ulugh Beg, 1417-1449, Samarkand, white jade, Calouste Gulbenkian Museum, Lisbon, Portugal. The dragon was a later addition. The lovely collection of Iran fritware bowls is interesting, not just because they were not really collected in Europe in the early 20th century, but because in this case Gulbenkian broke his usual rule of only buying things that were in perfect condition. That’s how much he liked them. The beautiful collection of Mamluk glass is one of the most important and best preserved anywhere in the west. Most of the objects are mosque lamps (producing light, a manifestation of the divine), which were lit by a floating wick fed by oil. But there are bottles as well, which show the variety of patterns used by the craftsmen in the 14th century. Portrait of a young man reading, illuminated with animals of the hunt, early 17th century, Isfahan, Iran, ink, watercolour and gold on paper, Calouste Gulbenkian Museum, Lisbon, Portugal. I was rather baffled by the animal at 9 o’clock – has it got the face of the artist or an enemy? Naturally Gulbenkian had an interest in Armenian objects – unfortunately for Lisbon, most of his collection was donated to the Armenian Patriarchate in Jerusalem. However, there is a 17th century bible which is really interesting. It was commissioned by Khodja Nazar, an Armenian from the Persian community of New Julfa in Constantinople. What is fascinating is that it is beautifully illustrated – but in an ‘old-fashioned’ medieval style. Presumably the same edition of a bible had been copied over and over from its first creation and the audience didn’t find it jarring. Maybe the influence of the Greek orthodox icons and the repetition of set imagery made such medieval scenes seem more traditional and authentic. In any case, it’s very charming. Gulbenkian’s personal taste is once again obvious in this gallery, with a large amount of flowery porcelain from China dating from all the major periods of production. The Japanese collection is somewhat smaller. For me the most interesting object in the Chinese collection was the Coromandel Screen. The inscription on it states that it was made for the 50th birthday of a high ranking dignitary – as such, it wasn’t intended for export, like most Coromadel Screens, and offers an interesting perspective into the expectations of the Chinese audience. It shows scenes from legends, folk tales and everyday life – my favourite scene showed a family gathering with a toddler. I think this shows the zhuazhou – an activity where a child (boys and girls – girls had some different objects), on their first birthday, chooses an object from a selection of significant/representative items laid out before him. The object he chooses, determines his future: if he picks a book, he will be a scholar, if he picks a chicken, he’ll never go hungry etc.. In the past, this played a role in determining a child’s training, but the tradition continues to the present day – albeit in a more lighthearted way. That’s why the parents are leaning in eagerly to see what sonny has chosen.